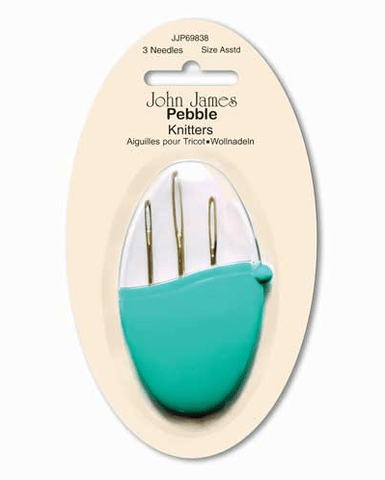 John James Pebble Needles - 3 pcs. Turquoise blue case with three pebble needles in different sizes. The case has a turquoise bottom and a transparent lid that makes the needles well protected. It is very small and is therefore highly mobile.